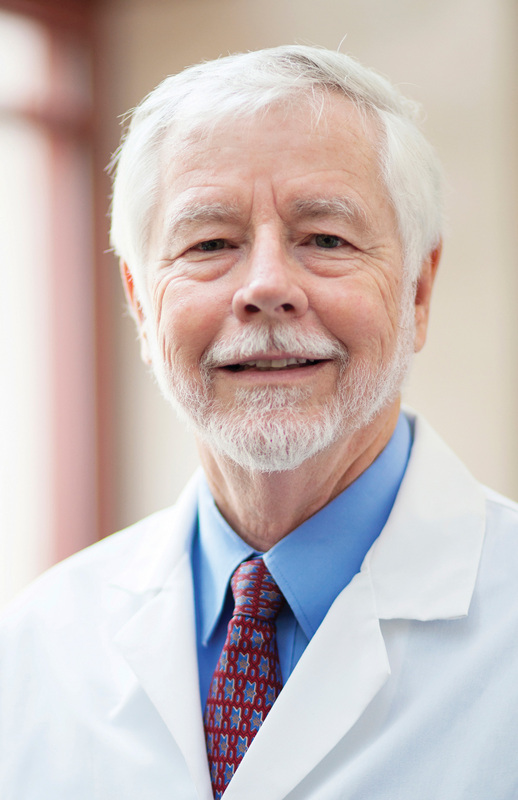 John Wingard is the director of UF’s Bone Marrow Transplant program, and his research aims to characterize bone marrow transplant complications in an effort to improve the outcomes for patients. Wingard was the principal investigator of the largest multicenter study of bone marrow transplant survivors ever conducted. He was also the PI of the largest study on the psychosocial adjustment and quality of life of bone marrow transplant survivors and their spouses. Through his research, Wingard characterized multiple complications of bone marrow transplants for the first time. Wingard also studies complications from infectious diseases. He reported an outbreak of Candida tropicalis, describing the infection as a major human pathogen. Wingard’s lab developed a novel mouse model that led to insights into the development of other types of candida infections in patients with cancer. Wingard demonstrated that the gut is the portal of entry for most candida infections in leukemia patients. His insights also led to the current understanding that antifungal drugs can lead to the emergence of certain types of candida infections — a discovery that is now recognized as a widespread problem. “I was the first to show that antifungal drugs could lead to outbreaks of drug-resistant fungal infections,” Wingard said.